I'm heading to Scotland for the Edinburgh Festival where I'm appearing with the wonderful Ada Palmer on August 12th at 845PM (we're talking about the apocalypse, science fiction and hopefulness); from there, I'm heading to the 76th World Science Fiction Convention in San Jose, California, where I'll be doing a bunch of panels, signings and a reading. 12PM, Borderlines, SJCC 210B, with Joanna Mead, Christopher Brown, Pepe Rojo and Kelly Robson: "National borders are historically recent. Borders between races and languages are arbitrary and arguable. Is it even possible or useful to have 'borders' between spacefaring civilizations? In cyberspace? How about between Science Fiction and Fantasy and Horror, or between cyberpunk and MilSF and 'hard' SF?" 12PM, 50 Years of Gratitude: The Clarion Workshop, SJCC210B, with Karen Joy Fowler, Christian Coleman, Nancy Etchemendy, James Patrick Kelly, Pat Murphy and Lilliam Rivera: "Join Karen Joy Fowler and other authors who have all been involved with The Clarion Workshop. Hear the history, learn about the participants, and see what will to expect from the next 50 years!" 3PM, So You Want to Build a Science Fictional Device, SJCC210G, with SB Divya, Sydney Thomson, and Bill Higgins: "Join us for an improv-technology panel - where the audience asks us to design a SFnal device, and the panelists have 5 minutes to come up with our best 'non-handwavium' answers." 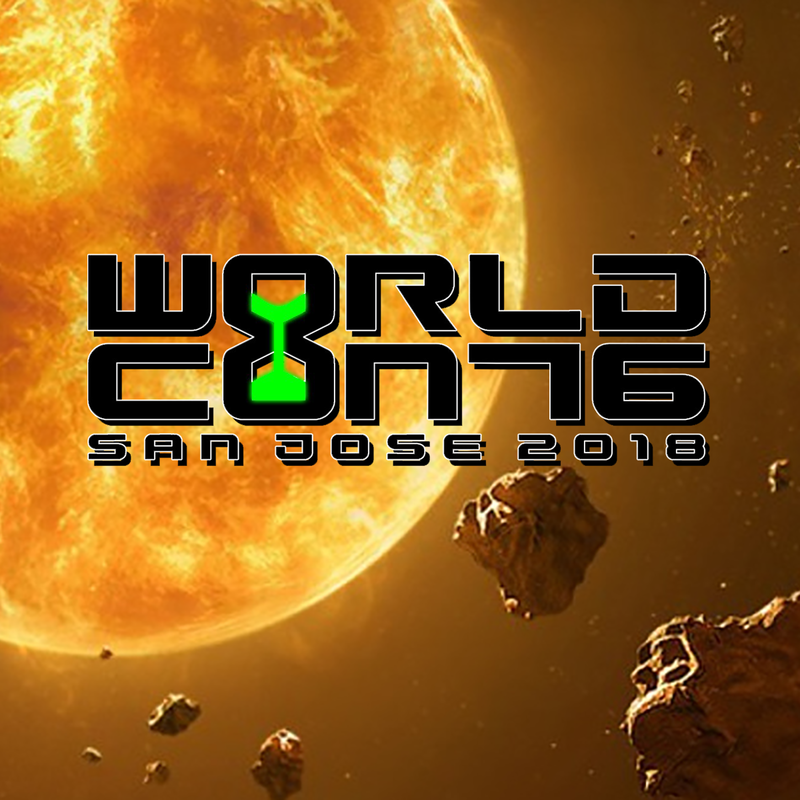 4PM, The Dark Side of the Digital Frontier -- Facing Our Addictions, SJCC211C, with Rick Canfield and Brad Templeton: " From '1984' to video games, what remains science fiction and science fact? A conversation with internet pioneers, digital rights activists, and emerging technologists on the ethics of our digital addictions in an age without Net Neutrality." 5PM: The Working Class in Science Fiction, SJCC210F, with Olav Rokne, Eric Flint and Eileen Gunn: "Labor unions are an important part of the everyday life for millions of American workers, yet labor unions seem to be largely absent from our science fictional narratives, as compared to the presence of corporate businesses. This panel will explore whether there's an underlying assumption in science fiction that workers will not organize themselves, or whether there are alternative social models that are being explored. In the process, panelists will attempt to identify and analyze a very small but diverse body of SF works that do include images of unions, in ways that range from the symptomatic to the radically suggestive."